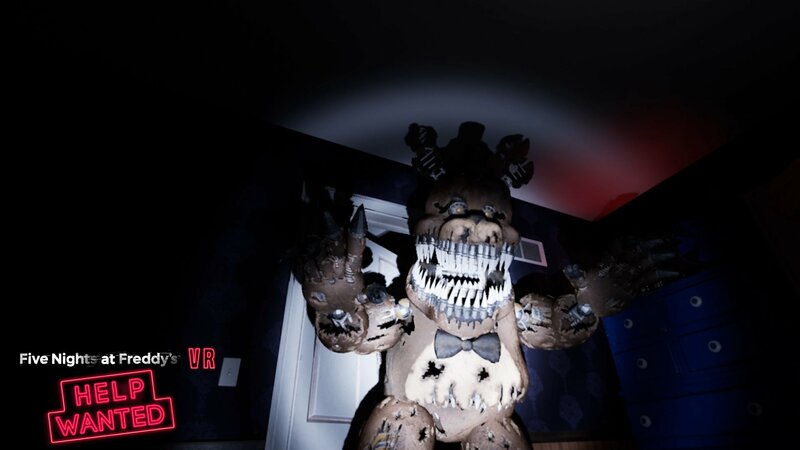 The modern jump-scare masterpiece makes it move to virtual reality in the upcoming Five Night's at Freddy's VR: Help Wanted. For the last half of a decade, Five Nights at Freddy’s has been making gamers let out blood-curdling screams as they're eaten by horrendous animatronic creatures out of Chuck E. Cheese's nightmares. 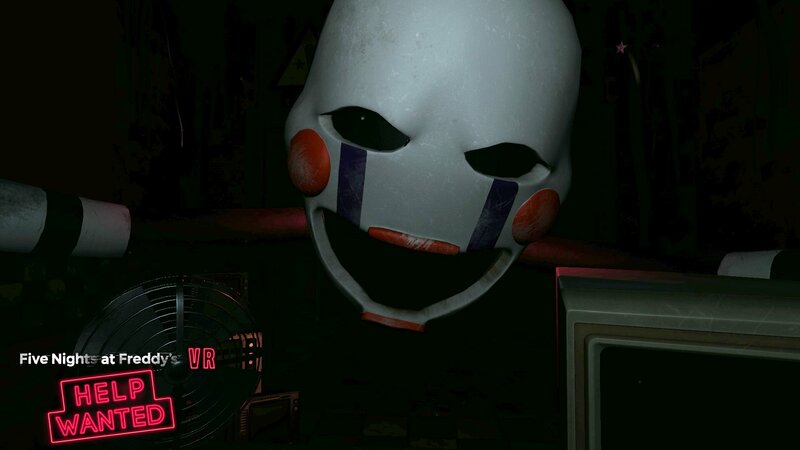 And soon, players will get a chance to revisit all those precious jump-scare memories and make a few new ones as well as the series makes its VR debut in Five Nights at Freddy’s VR: Help Wanted. I had the opportunity to go hands-on with some of the new content for the upcoming PSVR release. The game is half classic FNAF and half brand-new content made just for the VR version. Players will be able to play through the first four games in their entirety as they attempt to survive through the evening without a robotic murder of any sort. The game will also feature a hefty roster of fan-favorite creatures like Nightmarion, who had only previously been available as a Halloween bonus. Players can also look forward to meeting several new characters along the way and, hopefully, not be killed by any of them. The two mini-games I got a chance to sample were very different but made good use of the VR set up the PS Move controllers. In the first mini-game, I had to do some “simple” maintenance on one of the robots. I had to follow the directions being fed to me precisely or I would be as good as dead. First, I had to unlatch the faceplate, then remove the eyes in proper order before tuning the creature’s guitar to its proper intonation. After I was done with maintenance, it was time to put everything back together in the reverse of the order I took it apart. It’s essentially a memory game that forces players to recall the instructions they were given when taking everything apart. Since I didn’t know where the “jump” was going to come from, I was a bit nervous and accidentally dropped one of the eyes onto the wrong cleaning station. I was immediately turned into robot food, which is one way to find where the jump-scare is, I suppose. The next mini-game I tried put me in the role of maintenance/repair person tasked with fixing the thermostat. I started out in a small room in the middle of a ventilation system as I pulled switches and made adjustments to levers slats would open to the vents to the left and right of me and the front. As each opened up, I would have to listen for the sounds of creatures crawling through the vent. If I didn’t turn and shine a light on the creature to make it back off, I was as good as dead. I was constantly shifting my view from one side or another as I attempted to finish the task at hand. The most intense part was probably having to reach into the vents and fidget with things because it forced my focus to finish the objective. While my hands-on time with Five Nights at Freddy’s VR: Help Wanted was just a small sample taste of what the full experience has to offer, it definitely hit the right marks as far as capturing the essence of the series. All the intensity and suspense is there and will most likely be amplified for a lot of fans through VR immersion. 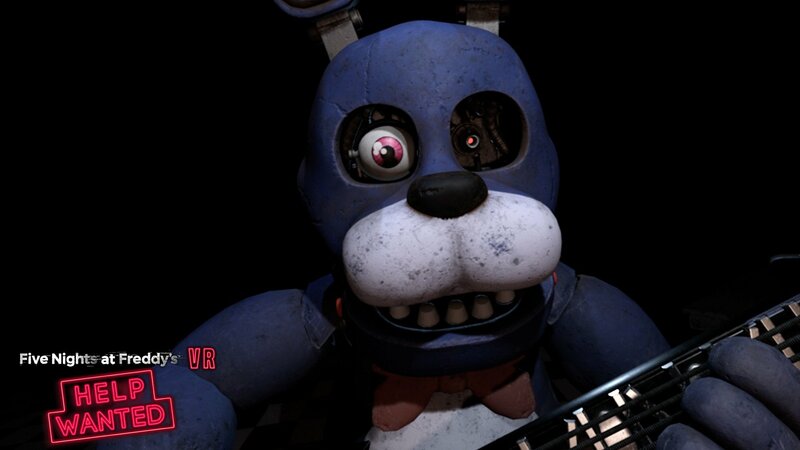 Five Nights at Freddy’s VR: Help Wanted is scheduled for a spring 2019 release for PSVR.